"There have been so many books about the Great War that any new one has to throw up significant new information or have a special angle. This one, in a quiet way, does both"
"The author has a gift for picking out tales of the enduring nature of human spirit"
"Congratulations on such a well researched and beautifully produced book"
"You have unearthed some priceless human stories of life and emotions in WW1"
"Jacqueline Wadsworth uses stories she discovered in local archives, newspaper,s and old family letters and diaries to give a colourful account of what life was like on the island for ordinary people"
Women volunteered for Red Cross work, traders made the most of new markets, and mothers learned to cope not only with food shortages and blackouts, but the constant fear that their loved ones wouldn't return. Children saved their pennies to send 'comforts' to the troops, and everyone did their best to keep the home fires burning. 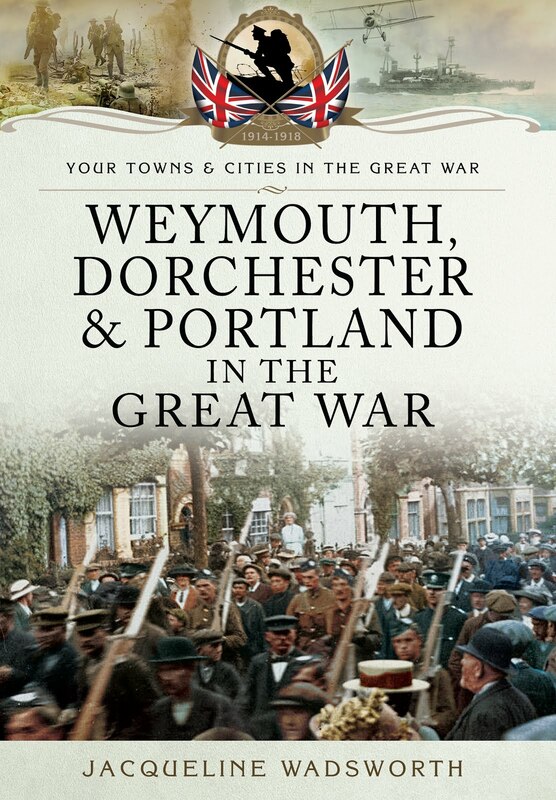 Using contemporary letters, diaries and newspaper stories, and illustrated by almost 100 photos, this book gives warm account of life in Dorchester, Weymouth and Portland during the Great War, ensuring the people at home who lived through those dreadful years of conflict are remembered, too. 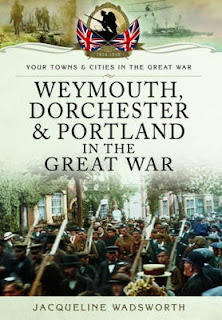 Written in a pacy and engaging style, this book brings together a number of characters, incidents and anecdotes which not only reflect on the multi-layered story of South Dorset’s military involvement in the war, but capture the flavour of life on the home front. Jacqueline shows how the war was no respecter of social class, recounting the stories of families left grieving both in working class slums and the impressive country house of the Pope family, owners of the large Eldridge Pope brewery in Dorchester. 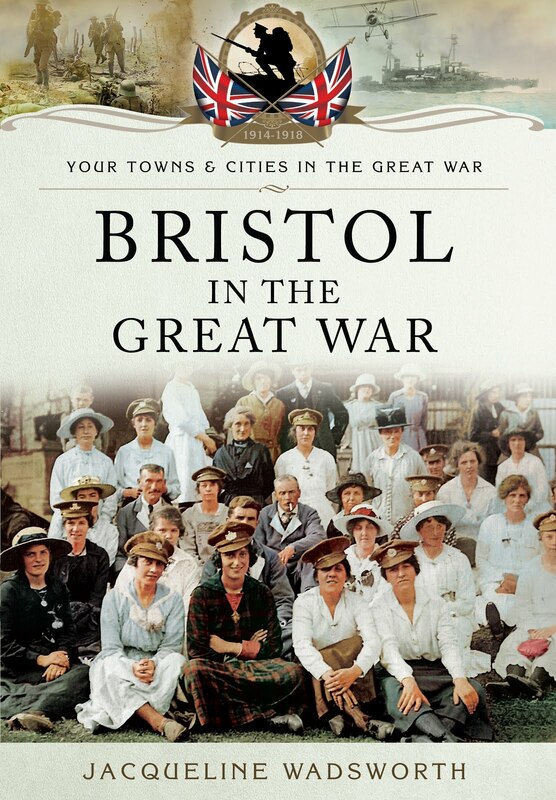 It is richly illustrated, containing over a hundred images, and makes a fascinating read for all those who have connections with the area, readers interested in military history, and people who feel a connection with the lives of people in a past which has now passed from living memory. After reading this book, I shall visit a familiar area with a fresh perspective, peeling back the decades to connect with the people who walked the streets of South Dorset a hundred years ago." 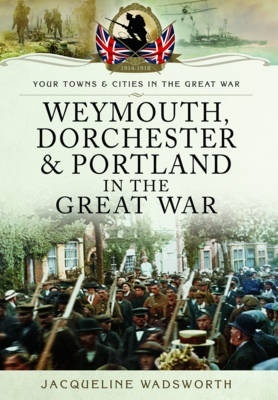 This insightful book centres the reader in this part of Dorset for the outbreak, conflict and after-effects of the Great War. It cleverly uses diaries, letters and newspaper reports to depict how residents felt as their way of life drastically changed. Wadsworth has a gift for picking out tales of the enduring nature of human spirit. She uses the diaries of the four Sneyd-Kynnersley sisters of Weymouth to show how people found courage they never knew they had. The affluent Snyed-Kynnersleys sisters, who lived at Greenhill, all volunteered as Red Cross nurses, giving up their round of leisure activities to take on roles that would challenge, stimulate and satisfy them. Wadsworth's thorough research means that no stone has been left unturned in evoking the feel of the Great War in Dorset. There are some interesting little snippets in this book like posters showing how Portlanders rallied round to help starving Serbian children and how novelist Thomas Hardy helped with the war effort. Having known this area well having family living here, Bristol author Wadsworth evokes the feel of Weymouth, and expertly. The dark side of life on the homefront is not shied away from; with amusing anecdotes about drunken Australian soldiers making their way home turning to tragedy as one soldier, who was found to be perfectly sober, drowning in Weymouth harbour because of poor lighting due to military restrictions. Wadsworth has produced a poignant overview of wartime and its aftermath peppered with little gems like the tale of a friendship between a Weymouth nurse and a wounded Belgian soldier. This book describes in words and many pictures from local collections what life was like in south Dorset for those that ‘stayed behind’, particularly women ... Lots of illustrations ... Superb photographs of the Whiteheads Torpedo factory ... great background information for researchers. 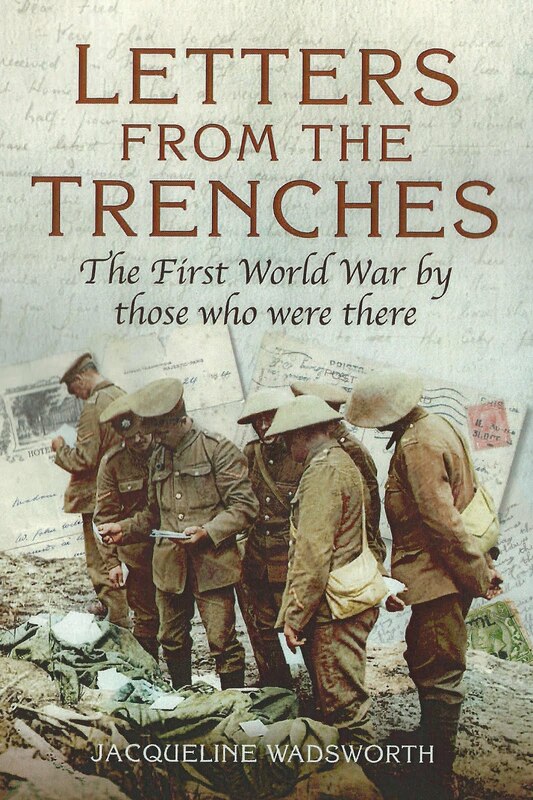 "You have unearthed some priceless human stories of life and emotions"
'Jacqueline Wadsworth brings us closer to the men and women who endured those four terrible years' Peter Doyle, military historian and WW1 author. My book is being published by Pen and Sword Books which now has its own Social History Blog with exclusive articles by P&S authors.